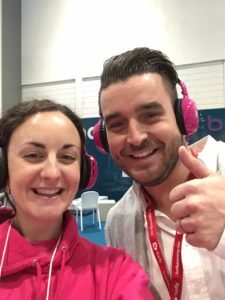 What a week at BETT! 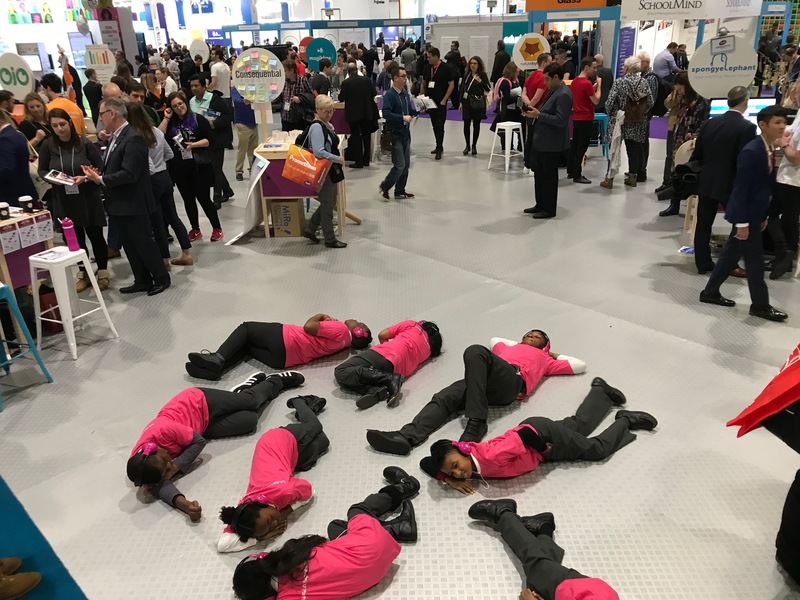 On 1 Feb, 2018 By Tilly With Comments Off on What a week at BETT! We follow him on Twitter and were pleased as punch when he popped by to take a snap with us. 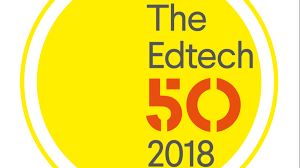 He’s one of the organisers of #PrimaryRocks, which we are big fans of. 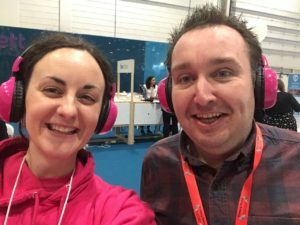 Mr Head did a round up of his 10 best finds at BETT, and guess who made the list…! We just love how creative Simon is, if you haven’t heard of him then follow him on Facebook and check out – Teaching Ideas From the Front Line. Simon was super busy demonstrating on the Promethean stand but found the time to come and greet us in BETT Futures. 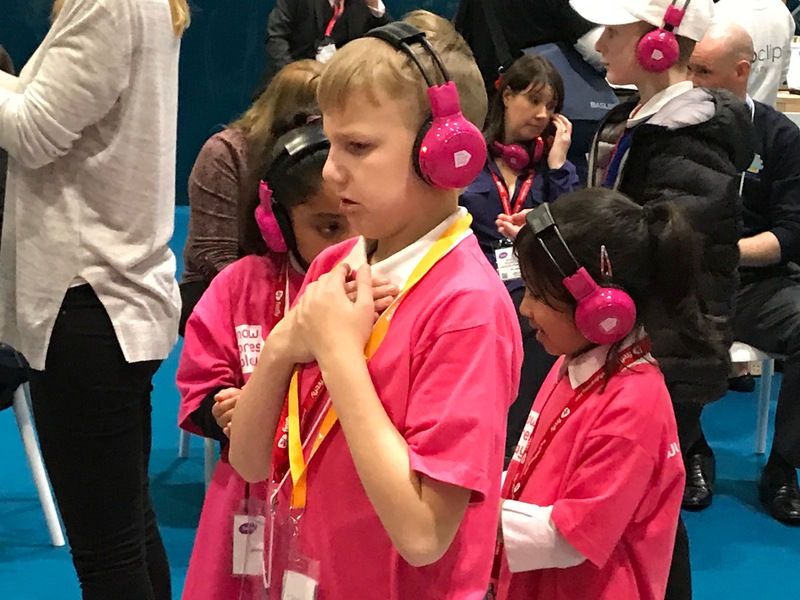 Shhh, don’t tell Simon, but we thought he was rather outshone by his co presenter Jamie, an ace student at Tottington Primary! Check out Jamie’s awesome interviews. 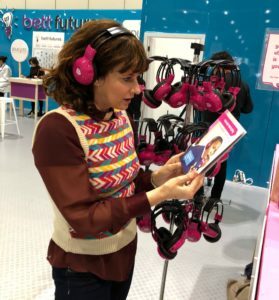 Lucky old us had another big Twitter hitter visit us at BETT Futures. If you don’t already, find him and follow him on Twitter and Facebook. He has fantastic ideas and his latest video had us chuckling in the office. 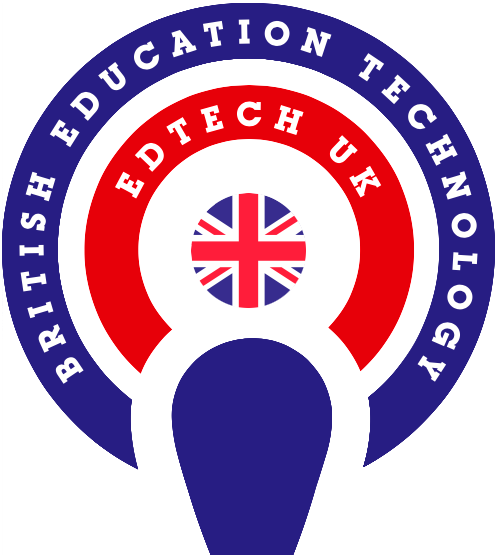 Mr P ICT is going to be trialing now>press>play very soon, so watch out for his review. 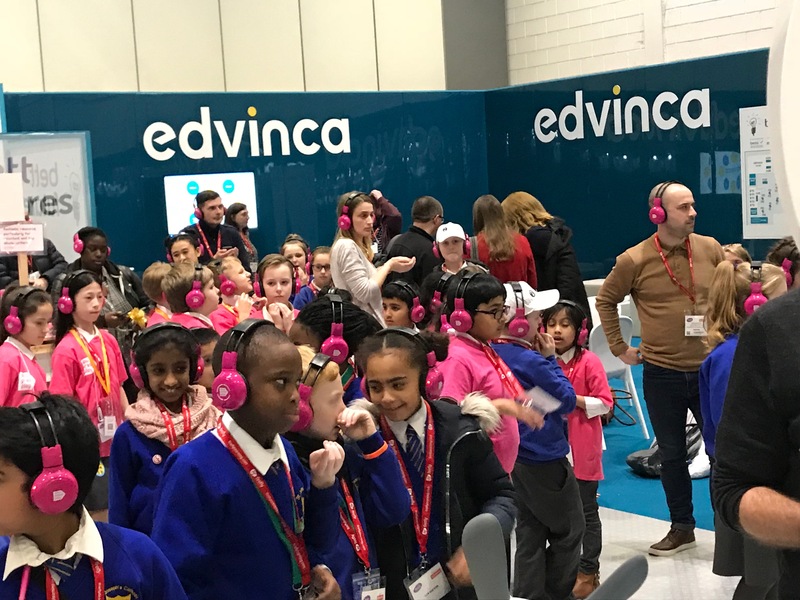 But most importantly, we had daily visits from groups of primary school children, to name but a few – Bygrove, Mandeville, St Saviour’s CE, Lanchester EP, Chisenhale and Birchwood. Each and every one of them brimming with excitement about the exhibitors stands and technology available. 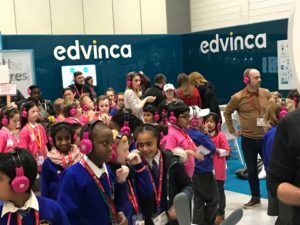 They wanted each and every robot, screen, headphone they could learn with! 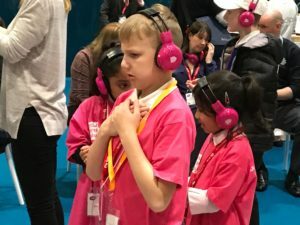 As one child said “This is how learning should be.” We couldn’t have said it better. 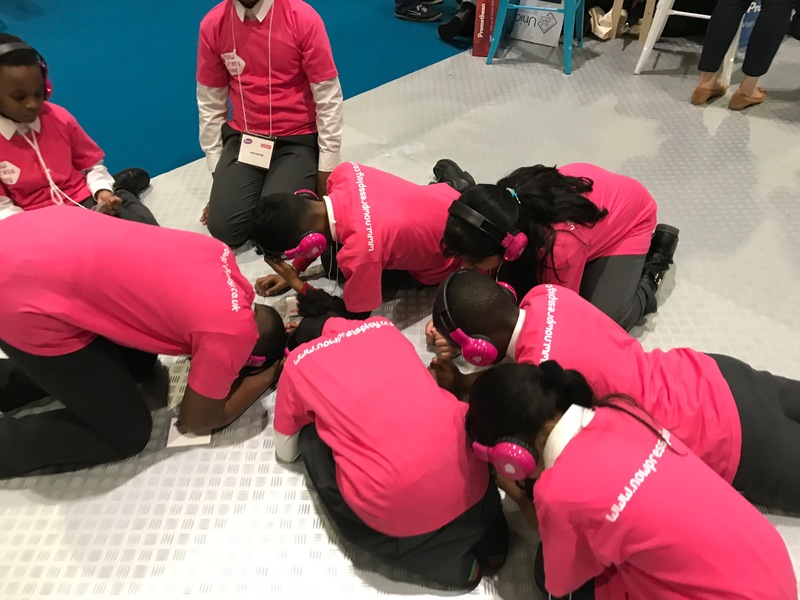 Thank you BETT Show – here’s to next year!